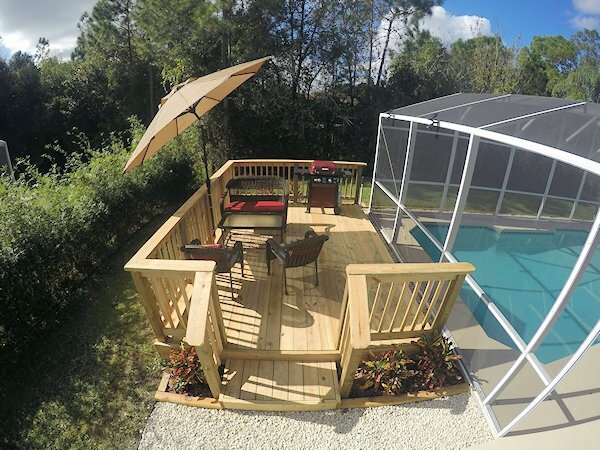 We cater for those that are seeking something SPECIAL for their Florida vacation rental home, and would choose to take their Floridian holiday with a bit more style. You will be staying in an area that is primarily occupied by American residents in a vacation rental home that was built with residents in mind. Your holiday rental villa comes with AIR CONDITIONED GAMES ROOM finished to the highest standard . The villa has 4 bedrooms including TWO MASTER WITH EN SUITE AND QUEEN SIZE BEDS and with two twin rooms. The villa was upgraded in 2016 . Our villas are designed to the HIGHEST STANDARD as is our service .If this villa is booked please check our other villa 280 on this site . Both villas are just a short walk apart. 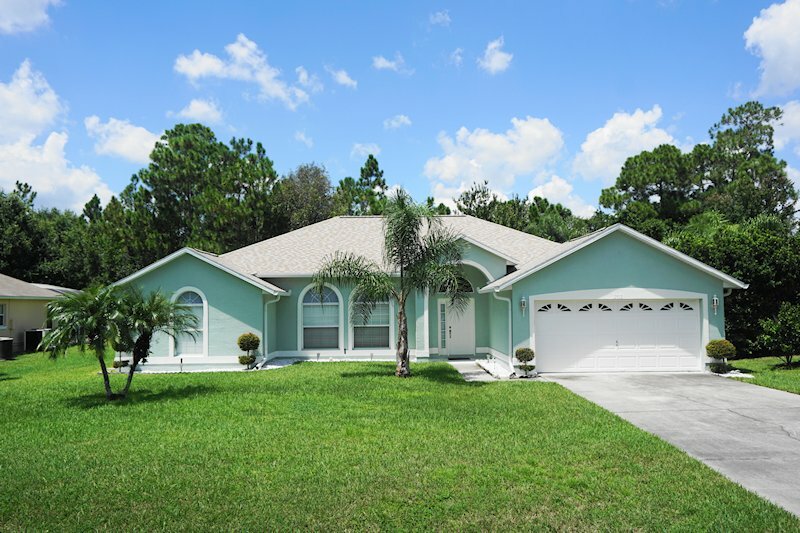 We know that you will find cheaper rental villas in Florida. Rather than cut standards down to a price, we prefer to concentrate on providing a luxurious, superbly well equipped holiday rental villas at a fair price in a nice location. We will never be the cheapest - we don't want to be - but if you stay with us there is a very good chance that like a lot of other guests you will return - and to us that is the best recommendation we can offer. OUR VILLAS 280 AND 281 are located on a quiet estate called Doral Woods just a short drive to shops and restaurants this location gives a very open feel as it's in a Conservation Area semi rural with ranches it's lovely to see the horses cows in the fields much nicer to drive back through .Please read our reviews from both villas, guests feel they have had a five star service in a five star villa ! "Everything you could want in a holiday home Left on Feb 20, 2019 for a stay in Aug 2018 This villa is everything you would expect from a high-end property. It's spacious, clean, has multiple TV's, a big pool, a superb games room etc etc. It's in a very quiet location and is a real home from home. Our only problem was not spending enough time there and making full use of the facilities as we were out all day at the parks. Would love to go back and do less theme park-ing and more relaxing round the pool!" "Ideal peaceful location, very comfortable, near all major attractions Left on Sep 24, 2018 for a stay in Sep 2018 A very comfortable villa with all the home comforts you need, the location is peaceful after busy days at the attractions, the pool is a welcome site after hot days out, the BBQ is useful for when you want to stay in, the games room is ideal and all the rooms are spacious - a very comfortable clean home to stay in - well worth a visit The villa is not too far from the main attractions and also supermarkets and restaurants Ideal place to stay"
"GREAT VACATION HOUSE 20 MINUTES FROM DISNEY QUIET NEIGHBOR HOOD Left on Jun 22, 2018 for a stay in Jan 2018 Great place to stay and we have come back to Doral Woods 5 times. Its got everything - 4bedrooms, 3baths, pool, and deck with a grill. If it rains it has a game room with pool and foosball tables for the kids. 3 TV's, air conditioning and free wi-fi. Everything is provided. Sara, the owner is always available if anything is needed. Hoping to return soon!" 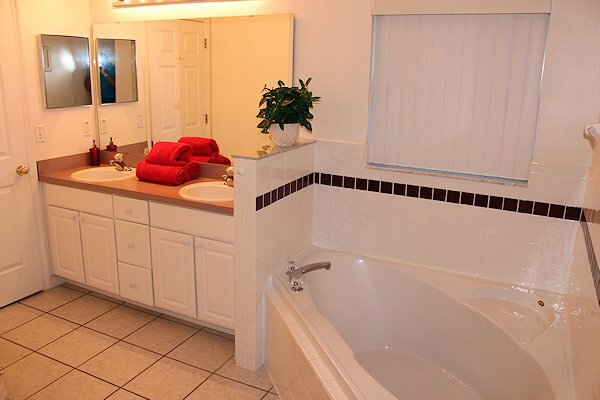 "Beautiful house, wonderful swimming pool, close to Orlando. Amazing stay ! Left on May 3, 2018 for a stay in Apr 2018 Our stay was absolutely magic in this fantastic house. Very big; we were 4 adults and 1 kid - (parents and grand parents with a 13 yrs old boy), decorated with a very good taste. Everyone was so happy to have his own bathroom. Fully equipped kitchen. The game room is of course ”the must”. We had lovely moments near the swimming pool (heated, it was perfect in this period). Breakfast and dinner were taken outside on the cosy terrace. BBQ at our disposal. The pictures I've taken are exactly the same as the one we can find when we book the house. The reality is maybe nicer than on the pictures ! The air conditioning was so perfect that you even could not feel it (no noise, no air). A lot of nice lamps in the house give a very pleasant feeling. Dressing nicely organized in every Neighbourhood very quite and very green. Publix and all kind of shopping and re"
"Comfortable villa with good sized pool. Left on Jan 15, 2018 for a stay in Dec 2017 Good location,half an hour from Disney,in a very nice area. Villa had everything in it and well fitted out for a wonderful holiday. Pool was large and heated which really was a bonus in December. Nice touch having a christmas tree in the house.Kid's really pleased." 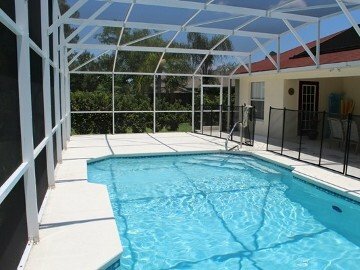 "Perfect holiday villa for Orlando visit Left on Nov 9, 2017 for a stay in Oct 2017 This was my families third visit to Orlando and second staying at a villa in Doral Woods. The location is great being within reasonable driving distance of both Disney and Universal whilst be a quiet relaxing area on an evening. The villa itself is very well appointed with four bedrooms, an excellent games room and large pool area.The villa was very clean upon arrival and is obviously well looked after looking fresh and up to date and not tired like some holiday villas can. 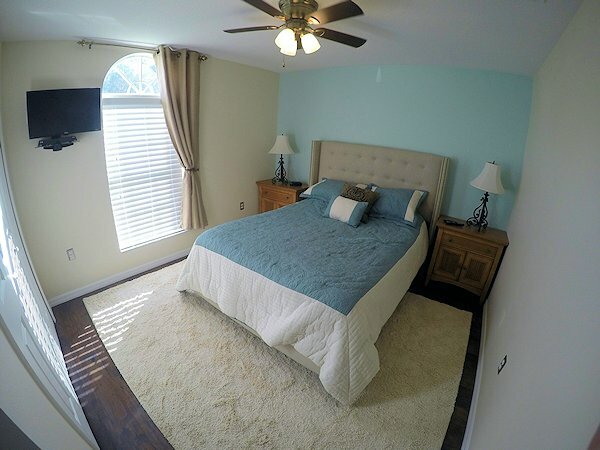 I would recommend this property to anyone looking for a clean, well appointed and spacious villa with easy access to all of Orlando's many amenities." "Spacious villa with good size pool Left on Aug 11, 2017 for a stay in Jul 2017 An excellent all round villa with 4 good size bedrooms and 3 bathrooms,2 en suite and 1 Jack and Jill. We were a family of 4 and had plenty of room. We stayed in the height of summer when temperatures are very high but the villa has excellent air conditioning. The pool is a good size, big enough to swim lengths which you don't always get in a villa. The kitchen is well equipped and we ate in most nights with no difficulty once we had worked the oven settings out. Location is very quiet on a residential development but only 30 minutes drive from Disney and Universal. The owners were very helpful with any questions we had both before and during our stay." "Home away from home” Left on Apr 10, 2017 for a stay in Mar 2017 The house is very comfortable and well equipped. Our grandson particularly liked the game room and everyone enjoyed the heated pool. It is a little deep in the neighborhood requiring a little extra time getting to a main road, but not bad. Everything worked well and we had no problems. Simple & hassle free. We would certainly recommend this house to a couple or family. 4 bedroom / 3 bath. Nice!" "Fantastic! Left on Mar 10, 2017 for a stay in Feb 2017 Our family spent 10 days at this beautiful property and miss it already. Sara is great to work with and always responds promptly to all communications. Upon arrival everything was ready for us and it truly felt like home. The villa was fully stocked and we were amazed at how clean and well maintained everything was. The quiet location and the privacy of the pool area was a huge benefit. The property is situated close enough to parks, shopping, and other attractions to reach them with ease but far enough away from the hustle to relax and unwind. We're already thinking about next year's trip." "Amazing 5 Star Villa Left on Jun 21, 2016 for a stay in May 2016 We were so lucky to stay here for three weeks. The Villa is very spacious good sized bedrooms with ensuite everything was spotless and clean, pool was lovely we never sat inside we were by the pool decking area all the time,great location for Disney parks ,no one over looking you which is great bonus . I was lucky to meet both Peter and Sara the owners of this Villa if you need anything they are only a phone call away . We all had an amazing holiday and I would stay at this Villa every year if I could." "This is an exceptionaly villa with every amenity you would want and more Left on Nov 17, 2016 for a stay in Sep 2016 Sara was fantastic to deal with always answered phone and emails, the villa is in a very nice and easy to remember location if you get lost easy like me. the villa was extremely well clean and well presented and very well maintained. every extra you could want in the kitchen, quiet location.... if you want to have a perfect holiday without worrying about before you set off if you have picked the right villa well don't this villa is superb." "Fabulous, warm and welcoming Left on May 9, 2016 for a stay in Apr 2016 We had a wonderful stay at Evans Way Villa. The villa is well equipped, has everything you think you may need. Having the air conditioned games room was a lovely bonus. The pool is lovely and secluded. The location of the villa is convenient for travel to the main theme parks, but far enough away that you can relax without hearing any hussle & bustle. We had reason to change our accommodation plans and Sara, the owner, was very helpful and able to accommodate our request to stay longer, which was really appreciated. I wouldn't hesitate in recommending this villa to anyone looking for a good quality accommodation in Florida. Looking forward to going back as soon as possible!" "Amazing Villa - Amazing Honeymoon!! Left on Sep 21, 2016 for a stay in Sep 2016 We used the villa for 2 weeks in September for our Honeymoon and was visiting all the Disney/universal parks! In the lead up Sara and Pete were so helpful in the booking of the villa and staying in touch about any updates they had made and even offering to change the dates of our booking if the flights were cheaper on different days! When we arrived at the villa it was everything we wanted and more! We had a bit of trouble locating the key but we were both tired and too excited to think logically i think! The villa itself was so clean and tidy and HUGE! There was only 2 of us so we had a lot of space! The games room was lovely to chill out in of an evening and the pool was amazing! Just what we needed afte"
"A Peaceful Haven Left on Jul 3, 2016 for a stay in Jun 2016 Upon booking the villa the owner was very promptly in contact with me to ensure that we were provided with all necessary information with regards to the villa. 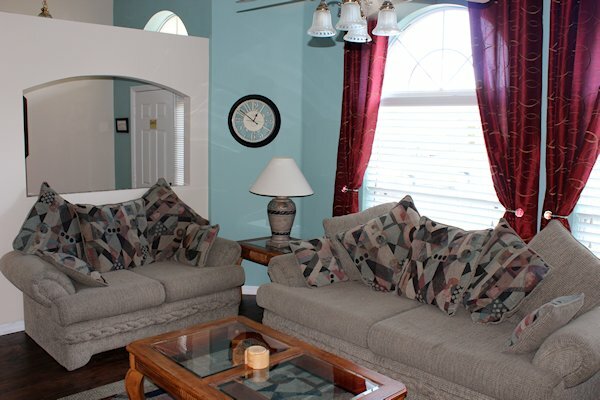 The property itself is spacious, comfortable and tastefully decorated. The highlight for our family was the outdoor swimming pool which we used every day, either before going to the parks or upon returning. The villa was a peaceful haven from the theme parks and If we return to Orlando in the future I would definitely book this villa again." "Excellent Jan 8, 2016 for a stay in Dec 2015 We spent Christmas and New Year, in this lovely Villa my Grandchildren said that they enjoyed the games room and swimming pool. We found that it was lovely and peaceful, which was what you needed after you had been to the parks all day, as all you wanted to do was relax. The villa was very clean and had everything that you needed to make a perfect holiday. I would recommended this villa and I would be very happy to rent this villa again." "Fabulous Villa, great pool & games room! Left on Nov 17, 2015 for a stay in Oct 2015 We added a stay at this fabulous villa in Kissimmee for 10 days following a few days in a hotel, my friend and her teenage son flew out to join us. I am normally a hotel dweller but chose this villa after extensive research online, many of the villas I saw were less spacious with very little privacy. Doral woods met our needs in every way, the villa is very spacious, well equipped, exceptionally clean with a fantastic games room & pool, handy for a 16 year old as well as the adults! The villa is well located for Disney, a maximum 30 minute drive from Universal Studios and the surrounding buzz, we changed our days around having mornings at the villa & pool, travelling to the parks or shopping & eating "
"ONE OF THE BEST WE`VE STAYED IN We have stayed at this villa on many occasions as we think that it is the best location for a perfect holiday, close enough for the attractions and peace & quiet when you want it. The villa has everything you need and is spotlessly clean and tidy. We were lucky enough to meet the owners this time as they were in the other villa just around the corner. We would recommend this to anyone looking for the best way to enjoy Florida and all it has to offer. A short drive from the restaurants and attractions and if you don`t want to go out there is everything you need to just relax and enjoy the sunshine!!" "EXCELLENT The villa itself lived up to our expectations and more, set in a very quiet area with the pool area much more private than most. We visited parks most days which are all easily accessible along with, supermarkets, petrol stations and restaurants with the 192 just a 10 minute drive away. The villa was very clean, well laid out and spacious with everything you need. The games room is another big plus point with everything well maintained and set out nicely for a different option at evenings. The pool area has ample space and is a really relaxing place to be after a long day, we spent most of our time when we were at the villa out there day or night. The old town Kissimmee was our favourite place to go for food or drink in the evening especially on a Thursday and Saturday as the"
"Beautiful and peaceful Arriving at the villa tired n hot, but when we opened the front door we loved it, it was perfect and the kids loved the games room and swimming pool.the photos really don`t do it justice,it was home from home.The owners Sara and Peter really have thought of everything,from a safe for your valuables to a BBQ and more! We would most definitely recommend this villa to anyone thinking of visiting Florida! We spent 18 days here,14 days visiting the parks and the other days chilling as you need to throw in a few rest days to recharge your batteries. we could have easily stayed for more,we really did`t want to come home,the holiday from start to finish was brilliant.It was worth the wait,planning and money and we are hoping to return at some point. The villa is on a qui"
"Great home great stay !!! My wife and I have been renting villas in this area for years and can honestly say this villa surpasses them all! Everything on this website about this villa is true and accurate. Very spacious and clean. 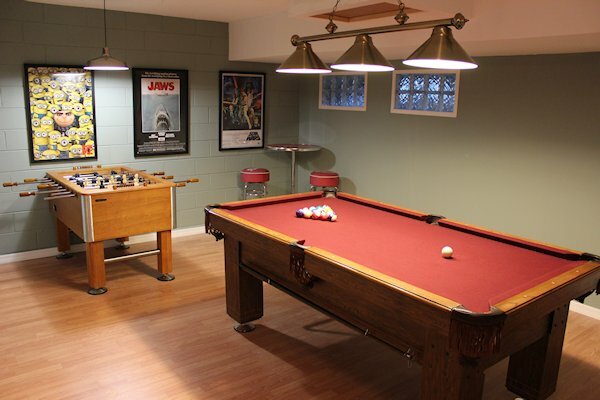 The pool is great and the game room is a neat addition. The location is great away from the hustle and bustle of some areas yet close enough (15-30 minutes) to all the attractions. Sara the owner who I dealt with is fantastic! Any problems that pop up, she makes sure they are taken care of. I would definitely recommend this villa and have done so and wouldn`t stay anyplace else when I come back to this area we stayed 2 months as last year !" "Perfect stay !!! Date of Stay 18 December 2014 Christmas The villa is very spacious has everything you could possibly need and more. It is ideally situated around half an hours drive to all the parks or from the parks a half an hours drive to peace quiet and tranquility! The villa is on the same footprint as many other villas locally but situated in a much prettier surrounding area. Would recommend the place to anyone wishing to visit this particular area. The owner Sara was very helpful and great to deal with providing every form of information needed to have a great holiday. Have a nice day!!!" "EXACTLY AS DESCRIBED This villa is exactly how it`s described, spotlessly clean & tidy. Doral Woods is very peaceful but with just a short drive you have all the restaurants and theme parks, great pool and sun deck with enough room for everyone & what a bonus the games room was. Hopefully be back soon. Thank you Sara & Peter for the use of your villa hope to be back soon"
"PLEASURE FROM START TO FINISH Great property in stunning fit and finish. This was a pleasure from start to finish. The over size pool was the icing on a large Florida sized cake! I would certainly stay here again, though I think I`d like to try their other property 280 on this site which looks every bit as good. I thoroughly recommend this property." "FANTASTIC FANTASTIC!! Fantastic villa in a beautiful, quiet location-Doral Woods. Everything we could have wished for and more with the villa. Our boys loved the pool and the games room, wish we could have them both at our home!. 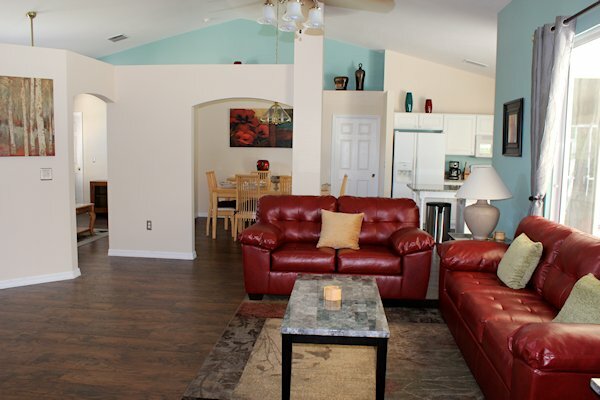 The villa has everything you need and it is immaculate. Sara the owner has been brilliant, can`t thank her enough. If we return we wouldn`t want to stay anywhere else. Catriona Westwell FROM UK"
"A WONDERFUL VILLA We cant recommend this villa highly enough. The accommodation is stylish yet comfortable and homely, plus spotlessly clean ! Only half an hour travelling into the Disney parks so the perfect base from which to explore Orlando and other attractions. Celebration village is a must. Sara was on holiday in Florida at the time and therefore was our point of contact during the stay should we need anything. She was a fantastic help with local hints and tips, and looking after things. We will definitely be back !" "PERFECT FOR OUR 2 FAMILY TRIP The house was perfect for our 2-family trip with plenty of room to spare. We enjoyed the game room, pool, and comfortable beds. The location was great for all of the attractions we wanted easy access to. The house was clean and well stocked with dishes, towels, sheets, pretty much anything one might need. 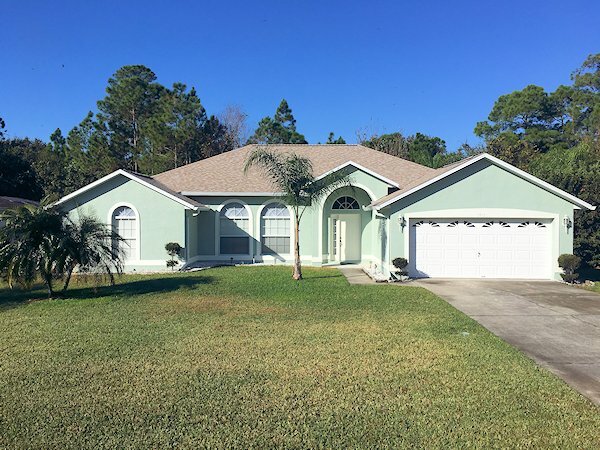 I would recommend this property to anyone headed to Orlando/ Kissimmee area. It was so nice after a busy day to come back to this quiet little neighborhood and soak in the pool. The home was very close to where we wanted to be and also not far off from all of the Disney Parks and Islands of Adventure at Universal Studios. Our families had an amazing time and would highly recommend this Villa to anyone." "QUALITY ACCOMMODATION Good quality accommodation in a nice quiet location. The owner is very helpful and accommodating. We particularly liked the private setting and the fact that it is not over looked to the rear. Plenty of wildlife to see and is about the right distance from Orlando for access to its entertainment opportunities, yet not in the midst of the touristy area. Overall it is a well maintained villa and provided a pleasant holiday setting which we would return to without hesitation. Review Submitted: 04-Jun-2014 Date of Stay: May 2014 Source: Home Away"
"LOVELY HOME GREAT POOL Date of Stay 09 March 2014 This is a great home for multiple couples and singles or people with kids. It has a really comfortable 1 floor layout with a nice central open area. The neighborhood is residential and quiet. It was very clean. We needed a few things and they were brought over immediately. The pool needed to be a bit warmer and Peter, the owner came right over and fixed that. We were in for a trade show in Orlando and the drive was longer than we hoped, but when we were just at the house it was great. We were able to take evening walks around the block and felt completely safe. Thank you Sarah and Peter for a nice place to stay"
"WOW WOW!. 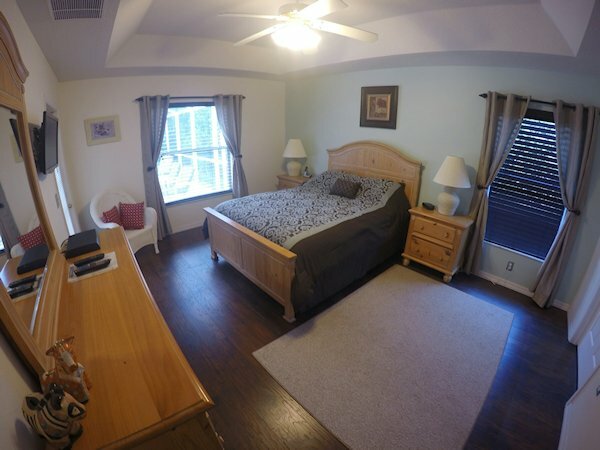 5 out of 5 Review Submitted: 10-Mar-2014 Date of Stay: Jan 2014 We have stayed in Doral Woods about 4 times and this was the best villa by far. Everything was just as pictured and nothing was left out. The house was immaculate and everything was well maintained. We stayed for 2 months and wish we could have stayed longer. The big screen TV was great with lots of channels and both suites also had TVs. The pool was great and just right for my wife who loves to swim. We had guests come down a couple of times and they were really impressed and just loved it. It`s nice and quiet but not far from the hustle and bustle. The owner Sara contacted us several times to make sure everything was working out. I could go on and on about everything but suffice it say that our entire stay was "
Your quote is for 8 guests + baby in a cot no more than 8 to stay in this villa . A non-refundable deposit of £200( +£100 per extra weeks booked ) is payable at the time of booking and is to be sent along with the completed booking form.printed from our website . The balance is payable Twelve weeks before departure. Bookings made within Ten weeks or less before departure a late deal must be paid for in full at the time of booking .Once the balance is paid we send the villa details . Details of full terms and conditions will be provided. Located south of Kissimmee and near to the city of Poinciana, local shops and restaurants are limited - with a 7-Eleven conveniently located at the junction of Poinciana Blvd and Orange Blossom Trail (CR532). Travel a little further down CR532 towards Kissimmee for more shops. These include a Walgreens, CVS pharmacy, Pizza Hut, MacDonalds, local Post Office, food mart, bank and even an animal clinic. The nearest supermarket is Publix at the intersection of Orange Blossom Trail and Pleasant Hill Road - which is around 6 miles away. Although the Publix and WalMart on SR535 are probably en-route when heading back from the parks. When eating out, either head back up Poinciana Blvd towards US192 and the Lake Buena Vista area, west towards Loughman and ChampionsGate - which again has a number of restaurants (as well as a Publix supermarket) or towards Poinciana. Our villa has a very OPEN PLAN FEEL the main lounge overlooks the POOL AREA and the front lounge is to relax in and read a book or use the PS3. 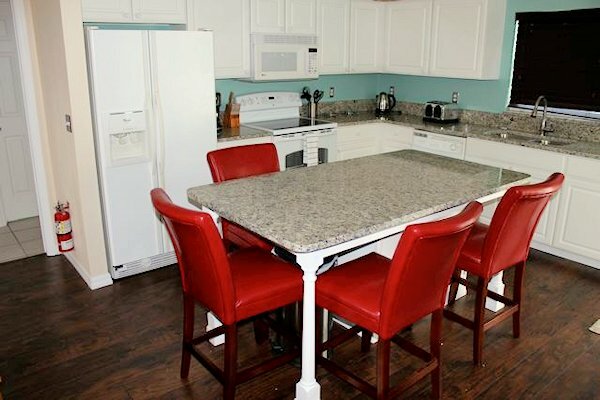 We have a dining area just off the kitchen and also the pool dining area. Enjoy our AIR CONDITIONED GAMES ROOM The villa is very well equipped our ATTENTION TO DETAIL IS NOTED BY OUR GUESTS We have many REPEAT BOOKINGS as our guests know they will have a stress free experience Our villas are five star we try to think of every detail and we ask our guests if they think we have anything missing . Our reviews for both homes are 5 star . We have many repeat guests . This villa has four bedrooms including two master en suite and two twin rooms . The TWO MASTER EN SUITE INCLUDE SHOWER AND BATH AND TWIN SINKS W C . Our twin rooms share a bathroom full bath with over shower sink and w c .The villa has been upgraded in 2017 to include WOOD FLOORS AND NEW FURNITURE Our twin rooms share a bathroom with full bath and over shower . Our bedrooms are well spaced having the twin rooms and front master to the left of the villa and the rear master to the right . Our villas are five star we have many repeat guests at both villas . We do try to think of everything . Our pool area is private on all sides we have added a BAMBOO HEDGE FOR PRIVACY there is also a large hedge to the right and across the pool . 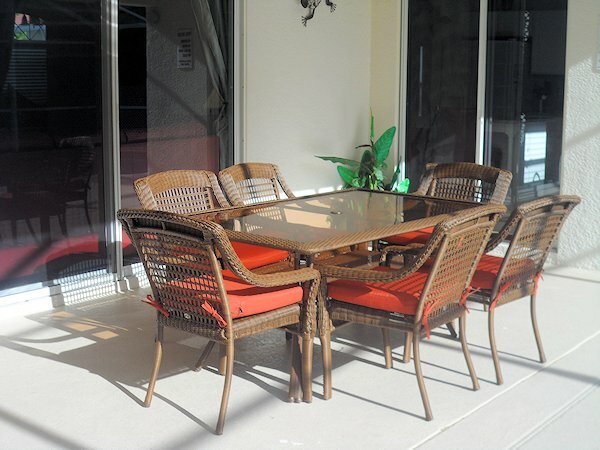 Seating for 6 is available with our patio set .We have also added a fantastic WOOD BBQ DECKING AREA A RARE FIND Our guests do enjoy the outside of this villa QUIET AND PRIVATE Doral woods estate also has a communal TENNIS COURT AND SWIMMING POOL just a short walk from the villa . Both homes are located on the same estate good for larger families having two villas close together .